Boat is almost ready to go in the water. Hoping Mother Nature will start cooperating. Some Browns being caught near the harbor, mostly on stick baits. 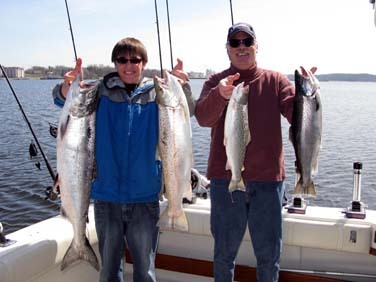 Give us a call to book your Lake Michigan fishing trip.